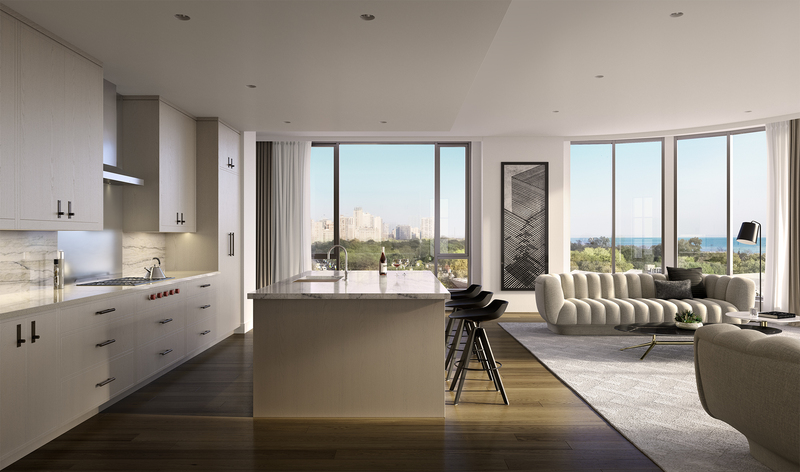 One of those plans, PH 1001 has sweeping views to the north and east over the lush greenery of Lincoln Park and Lake Michigan beyond. This home features 4-bedrooms and 3.5 baths, 11′ ceilings and offers 4,308 square feet of indoor living space. 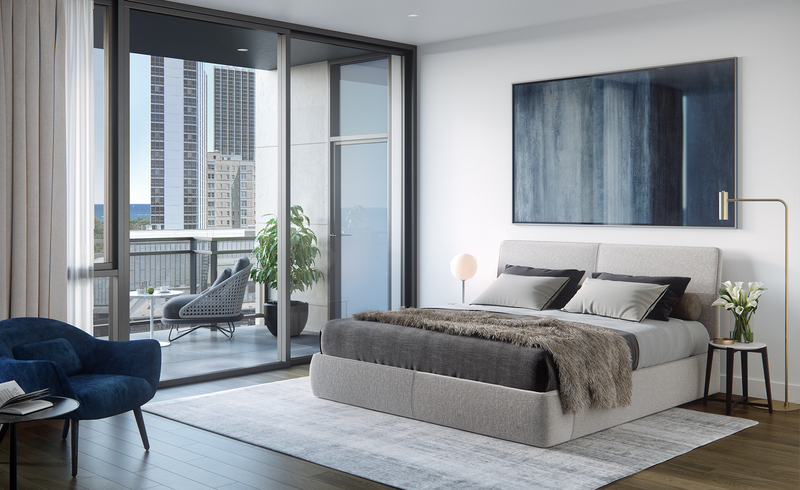 Two expansive private balconies and rooftop terraces with phenomenal views. Chef-inspired kitchen opens to large dining and living/family room, perfect for entertaining. Large master suite with two walk-in-closets and luxury master bathroom. Three additional bedrooms, each with en-suite bathrooms and plenty of closet space. A laundry room with utility entrance, ideal for Chicago’s four seasons weather. Like Fifteen Fifty’s Facebook page to follow construction updates.